Eric Dal Moro and his co-author Yuriy Krvavych won the prestigious award for their paper entitled “Probability of sufficiency of Solvency II reserve risk margins: practical approximations”. Eric Dal Moro, Head of P&C reserving at SCOR, has been awarded the International Actuarial Association’s Bob Alting von Geusau Prize. 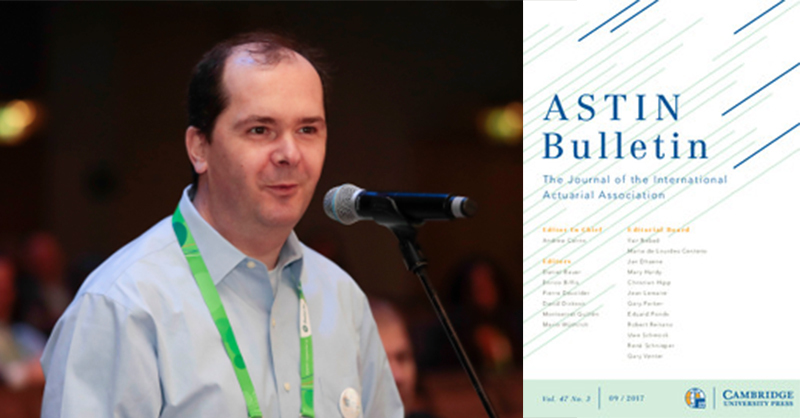 The Bob Alting von Geusau Prize, sponsored by the AFIR-ERM Section of the International Actuarial Association, is presented annually for the best article published in ASTIN Bulletin with a Financial Risk or ERM focus. Eric Dal Moro and his co-author Yuriy Krvavych won the prestigious award for their paper entitled “Probability of sufficiency of Solvency II reserve risk margins: practical approximations”. The paper explores and examines practical ways of estimating the risk margin confidence level, an additional requirement of IFRS 17.